As always, J. K. Rowling never ceases to amaze me. Finally, after all these years, I have bought Fantastic Beasts and Where to Find Them—actually it’s a gift—and finished reading it. This book is very interesting. It’s a textbook of all fantastic beasts in the magical world written by Newt Scamander, a Magizoologist. There are so many magical beasts and I am so amazed at Rowling who can manage to imagine and write about them. I am so excited when I knew J. K. Rowling would write the screenplay about Newt Scamander. The film will be released this November and I surely can’t wait to watch the film. It’s basically about Newt Scamander’s journey. Harry: This book belongs to Harry Potter. Ron: Shared by Ron Weasley, because his fell apart. Hermione: Why don’t you buy a new one then? Ron: Write on your own book, Hermione. Hermione: You bought all those dungbombs on Saturday. You could have bought a new book instead. In Fantastic Beasts and Where to Find Them, you will find all the magical being from A-Z. Here, you will be explained the difference between being and beast. So those two are not the same, apparently. With some doodles from Harry Potter and Ron Weasley, the book gets even more exciting. Seeing what’s looked like Harry’s handwriting is the thing that made me smile when I read the book. It’s funny and somewhat looks pretty real to me. It is so clever, Rowling! J. K. Rowling has indeed brought me into her magical world once more, even though the book is in a form of school textbook, I think it still very clever of her. She is indeed my favourite author after all! 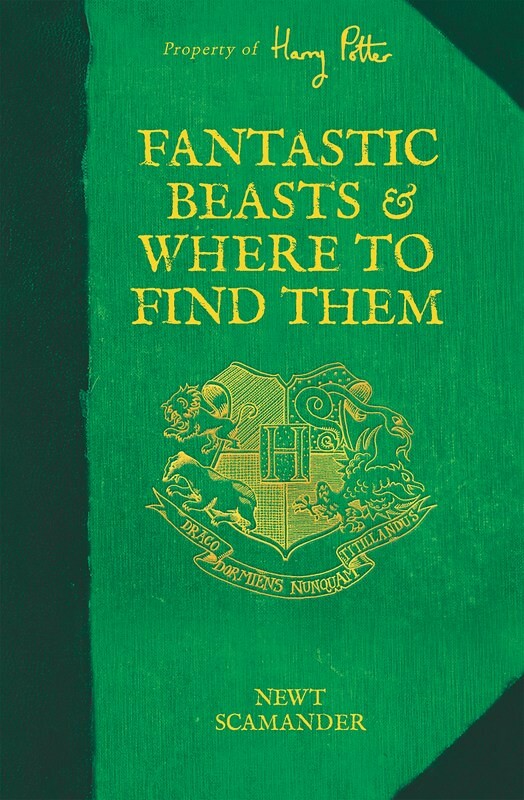 Fantastic Beasts and Where to Find Them is a light-reading book and you will find it so much fun when reading it. At least I did have so much fun reading it. I can never expect less from J. K. Rowling. I give Fantastic Beasts and Where to Find Them 5 out 5 stars. Great job, Rowling! You’re such a maestro.